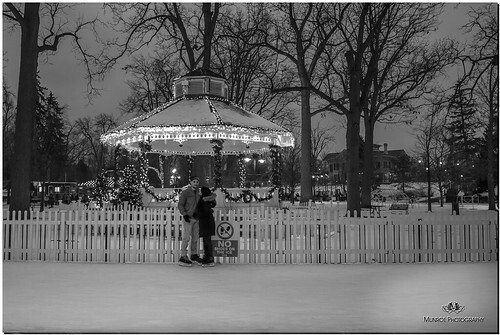 In early 2017 Karen and I went for a stroll to Gage Park in downtown Brampton; it was a fairly cold night and yet there were quite a few brave souls out there on the ice. Nearly a year later i was going through some of the shots from that day, when i came across this one of a young couple who i had distracted from their special moment. the brightly lit gazebo in the background made for quote a nice shot.